The IC-IPS4P-60W 60W - 4 Port PoE with 1 Port 1GB Uplink MAC auto study and aging, MAC address list capacity is 8K with Two-layer industrial POE switch. 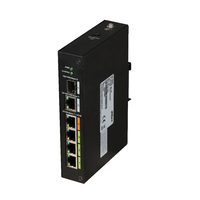 IPS-PFS3006-4ET-60 is a 4-port fast Ethernet switch, which supports 250 meters long distance PoE transmission. It provides 4*10/100Mbps PoE ports and 2*100 Mbps uplink ports. IPS-PFS3010-8ET-96 is a 8-port Fast Ethernet switch, which supports 250 meters long distance PoE transmission. It provides 8*10/100Mbps PoE ports and 2*1000Mbps uplink ports. D-Link’s DGS-1100 Series Gigabit Smart Managed Switches provide an affordable solution for businesses of all sizes that require simple network management. 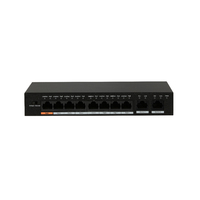 IPS-PFL2106-4ET-96 is a 4-Port ePoE switch, which is able to realize PoE transmission over 800 meters Ethernet cable at the speed of 10Mbps, or 300 meters at the speed of 100Mbps. 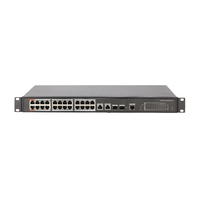 D-Link’s DGS-1210 Series Gigabit Smart+ Switch with Fibre Uplinks integrates advanced management as well as security functions that provide performance and scalability. The IPS-PFS3117-16ET-135 135W - 16 Port PoE (Extended) with 1 x 1GB Uplink Supports normal working mode, port isolation mode,monitoring mode, network extend mode. IPS-PFS3125-24ET-190 190W - 24 Port PoE (Entended) with 1 x 1GB Uplink Supports IEEE802.3x flow control for Full-duplex Mode and backpressure for Half-duplex Mode. 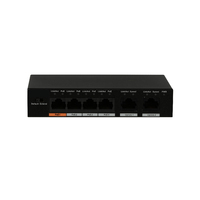 The D-Link DGS-1026MP 26-Port Gigabit Max PoE Switch enables users to easily connect and power PoE-capable devices such as wireless access points. 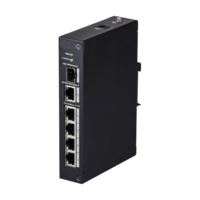 The DGS-1100 MP/MPP Series Gigabit Smart Managed Surveillance PoE+ Switches is the world’s first PoE switch with ONVIF support specifically designed for Video IP Surveillance applications.